The ridge of the Judean Hills, that blocks the rain clouds approaching from the west, permits only a small amount of precipitation to fall here. This is one of the primary factors that affects what flora grows around the Dead Sea. Some of this is soaked up by the superficial layers of the earth of the Judean Desert, while some quickly runs off due to the poor absorptive capacity of the ground and flows east into the low-lying Dead Sea basin. The plants that usually develop on these soils are sparse and of few species; they include perennial bushes on the hills and individual trees in the wadis and on the chalk cliffs. In rainier years the slopes become covered at the end of winter with a wealth of annuals whose density decreases towards the east. Mediterranean border zone perennials, represented by thorny keel. Arava flora, enabling agricultural land used for sowing barley and wheat. This vegetation is characterized by desert migwort, a plant with an unusually pleasant aroma used, among other things, to brew tea. Many of these plants have adapted themselves to the condition of severe drought, and some are capable of withstanding the changes that occur in their habitat, from season to season, during the course of their lifetime. This results from the accumulation of water in their succulent leaves on the one hand and from the reduction of the area of evaporation surface on the other. 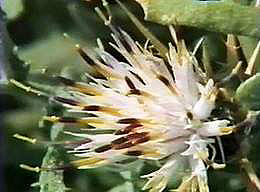 The migwort, for example, is able to survive in conditions of drought even if most of the plant has withered. 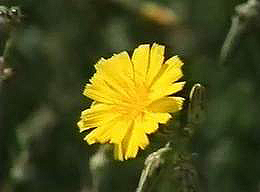 In winter it develops large leaves and spends the summer with smaller leaves. 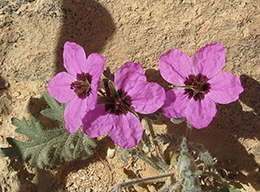 The third longitudinal zone of the Judean Desert bordering the Dead Sea is characterized by desert flora, typical of which is the zygrophyllum bush. This bush reaches, here in the Dead Sea region, the northernmost point of its growth in Israel and is able to live through excessively hot years. Individuals have been found aged over 250 years. Certain kinds of plants contain substances that delay germination when the amount of rain that falls on them is less than a certain minimum. But when the rainfall is sufficient they develop and even produce large growth, flowering and fruiting. At the end of a wet winter they cover this zone with a carpet of colorful plants. The Dead Sea is located in the hottest part of the Judean Desert. Since it is also the lowest point in the region, spring, stream and floodwater drains into it – on its way cutting deep clefts in the ground, some of them ten kilometers long and more. The water sweeps along with it a silt of soil, stones, bushes and trees, which pile up on the lake at the point where the stream enters. Here alluvial fans form, which for the most part contain cultivable soil and serve as one of the prerequisites for human settlement along the shore of the Dead Sea. 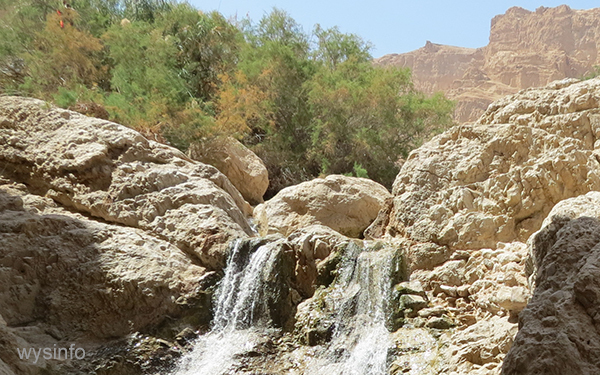 The Dead Sea springs are grouped into fault springs arising from the geological faults at the feet of the fault scarps, and strata springs that have become exposed along the beds of rivers and flood routes as a result of the scooping out of the crevices. 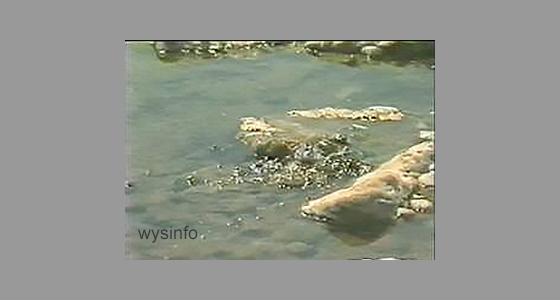 An interesting phenomenon appears in the springs that arise near the shore of the Dead Sea. They are mostly sweet water, but there are also salt water springs there, themselves differing considerably in their salt content. 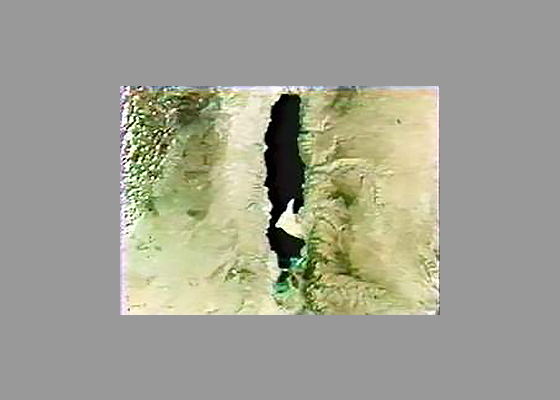 The phenomenon is explained by the complex underground geological structure of the region, which causes an uneven dilution of the spring water with the Dead Sea water. This encourages the growth of a wide variety of hydrophilic (water-loving) and hydro-halophytic plants (able to tolerate saline conditions) right down to the water’s edge. 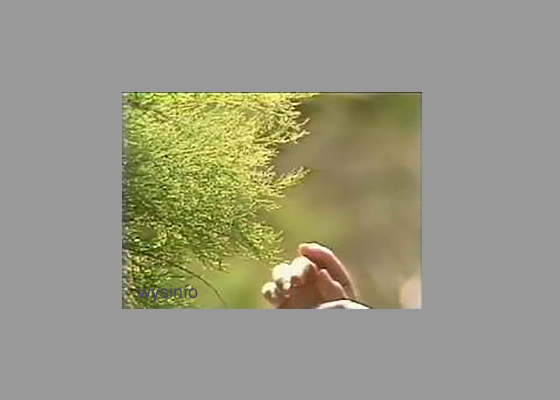 This vegetation includes the Nile tamarisk and the square tamarisk, which grow among various kinds of reeds. In spite of the slight rainfall, the year-round high temperatures, the fertile alluvial soils and rather superficial water table in the various depressions have converted some of the most salt-free and humid spots into Sudano-Deccanian tropical outposts. The largest of these is the Tsoar gully, which is richly watered by underground springs and the Zered stream where you can find most of the representatives of this tropical element. 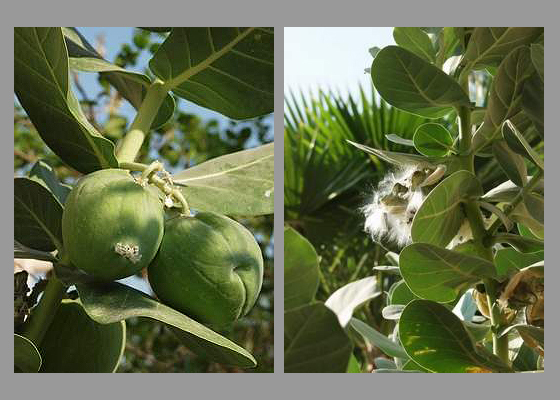 The most important group of the Sudano-Deccanian plants includes the Egyptian zachum tree and the common plum with its sweet fruit, which stands out as the typical line of vegetation in the Dead Sea chain of oases. One of the best-known plants in the area is the mullein, or as it is commonly called, the Apple of Sodom. Its ripe, dry and hollow fruit contains seed borne on the wind by a parachute-like canopy of webbed silk. At the time of the Second Temple these were used as wicks for pot lamps. Its white poisonous juice was regarded by local inhabitants as a remedy for sterility, and the Greek Orthodox monks in Jerusalem in the nineteenth century used to distribute it to all who asked. 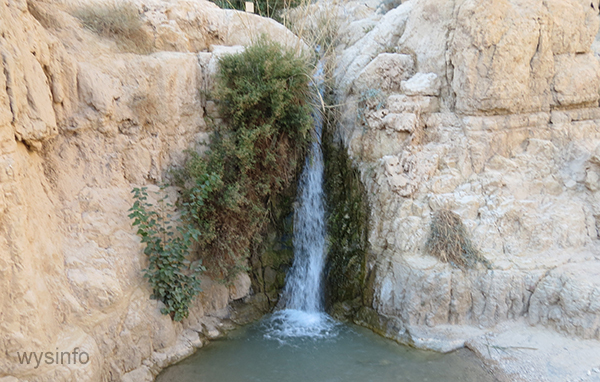 Since the life of hydrophilic (water loving) plants is influenced more by the soil than by climatic conditions, you can find at least some of them by following the courses of the rivers that flow into the Dead Sea. For example, you have the Euphrates poplar, which has made its way here from Africa; the Jordan tamarisk which is green for most of the year; varieties of reeds notable for their propagation through joints; and the thorny willow. An example of the hydro-halophytic (salt loving) vegetation here is the shore juncos, which hangs from most walls of the gullies, and the thatch, commonly called Shulamit’s hair, which grows near waterfalls.One can also find elephant’s ear, growing close to rock and water. 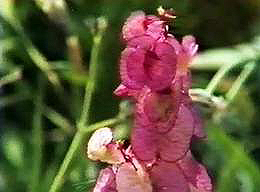 Saline plants whose balance on intake and output of salt and water holds the secret of their survival. Here the succulent varieties of plants have developed a great capacity for water absorption in order to reduce their salt concentration. 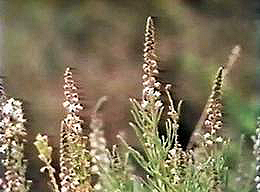 The non-succulents on the other hand have developed a means of discharging excess salts on the outer surface of their leaves; this group includes the square tamarisk (tamarix tetragyna). Hydrohalophytic plants, which grow on the banks of perennial streams in a soil of relatively low salinity through-out most of the year. Mesohalophytic plants, which grow near the dry streams and in areas of higher salinity, where the water table is fairly superficial. 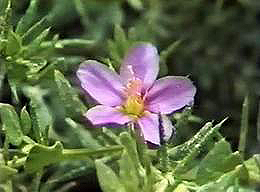 Xerohalophytic plants, which grow in the dry salt marshes. These usually possess great absorptive properties, deriving from the osmotic capacity of the cell fluid, which rises with the accumulation of salt in the cell. In the Israeli Ocem, for example, it reaches 91.93 atmospheres. 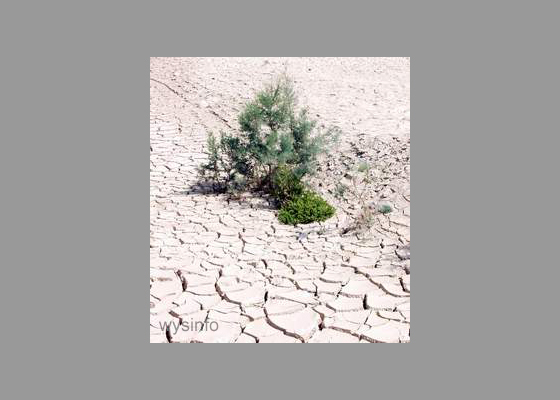 In extreme aridity it can reach even 200 atmospheres in certain plants. In prehistoric times it is known that the halophytic vegetation in the area was burned to produce alkaline potash. Potash kilns and other findings, dating back to the chalcolithic period – fourth century BC – have been discovered at Tuleylat el-Ghassal, about 10 kilometers north-east of the Dead Sea, indicating large-scale settlement. A special place in the local folklore is held by the Saharo-Sindian plant called the Rose of Jericho; its legends have become widespread in Europe also through Christian pilgrims. This plant is an annual that takes up its nutriment through a single root which it puts down easily. Owing to the physical property which causes its branches to stretch when they take up moisture, the plant bursts open, and its seeds are dispersed on the wind, to create a new generation of growth. The flowering – a rebirth so to speak – has made this plant a symbol of renewal and revival lodged in religious belief. Beduin and Egyptian women used to put in it water, and through the nature of its flowering, they would use it to predict if their childbirth would be easy or hard. Some even used to drink the water to speed up their labor. The Christian pilgrims for their part associated the Rose of Jericho with Rosa Mystica, who is the Holy Virgin in the Lutheran and Catholic liturgy. The pilgrims customarily traded bread with the Bedouins for it, and thus the plant made its way as far as the markets of Europe at the beginning of the nineteenth century.